The Hansgrohe company incorporates two different brands. Hansgrohe named after the company founder, and since 1901 it has been a symbol of innovative quality products from the Black Forest: durable, environmentally-friendly and of the highest standard. Since 1993 AXOR has worked with world-renowned designers and interior designers to develop premium products, comprehensive bathroom collections and complete bathroom concepts. Both brands offer numerous options for designing bathrooms and kitchens. 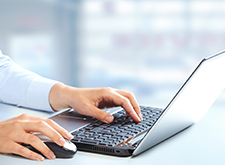 To offer you the best possible guidance, here you will find several different methods of accessing and searching our world of products: for example, by brand or by product category or even other services. Would you like to check out our designer brand? You are sure to find what you are looking for here when it comes to customised collections created by renowned designers and products for the bathroom and kitchen. 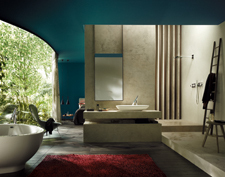 With Hansgrohe, you expect functions and products with genuine added value and a quality seal. 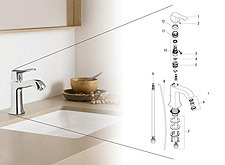 Are you looking for additional technical information on a Hansgrohe product? You can find drawings, spare parts and additional information here. Information on historic products as well.